The CLASS Certification program has been designed specifically for coaches participating in the state-affiliated leagues of the USA High School Clay Target League. The League’s CLASS Certification provides a comprehensive and interactive online education and training program designed specifically for League coaches. The CLASS Certification is available to all coaches and takes 5-6 hours of online training to complete. 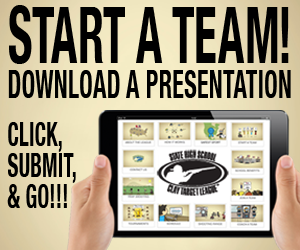 One head coach for each team may complete the CLASS Certification for free. A single-use promotional code was sent to head coaches of existing teams and will be sent when each new team is added to the League. Assistant coaches or volunteers may complete the CLASS Certification for $50 each. 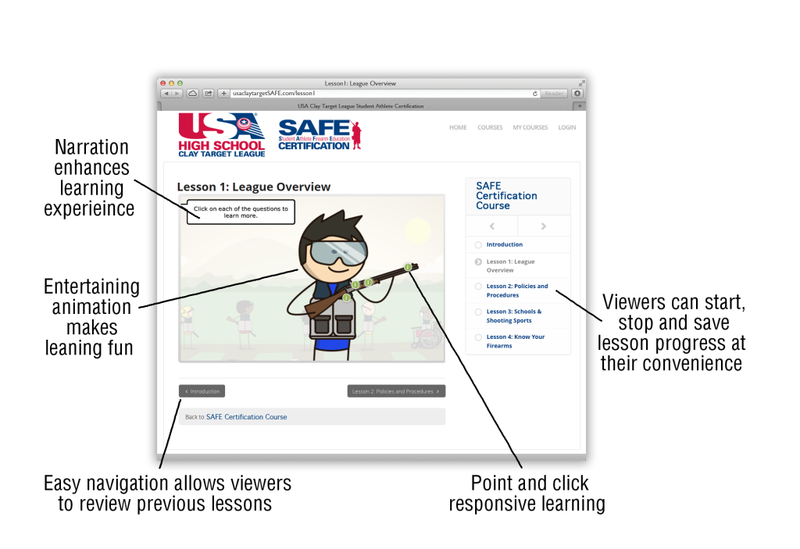 Only CLASS-Certified coaches may conduct the SAFE Range Certification program for student athletes to complete the SAFE Certification. All coaches registered with the League receive General Liability Insurance. 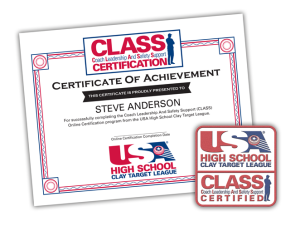 All coaches that complete the CLASS Certification receive an official iron-on certificate patch from the USA High School Clay Target League. Free – for one Head Coach per team. Affordable – other coaches can take the course for less than most shotgun coach training programs. Accessible – available online to everyone with tablet, smartphone or computer. Comprehensive – the online course takes 5-6 hours to complete and no travel required. Fun – animated graphics, sound, and interactive learning make it entertaining. Convenient – progress can be saved at anytime to work around busy schedules. 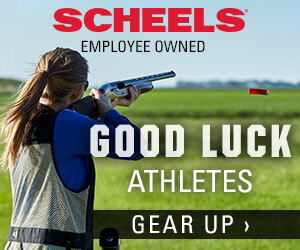 Relevant – it’s all about clay target shooting sports, youth, and firearm safety. Consistent – CLASS-Certified coaches and SAFE-Certified student athletes learn the same content. Support – dedicated Coach Education and Support Manager available to assist with all questions. The CLASS Program provides three critical areas of coach training: Leadership, Range Safety Officer, and Student Athlete Firearm Education.